Directed by Alan Taylor from the screenplay written by Christopher Yost, Christopher Markus and Stephen McFeeley, Thor: The Dark World is a sequel to Kenneth Branagh’s 2011 film that introduced the titular character to the big screen. 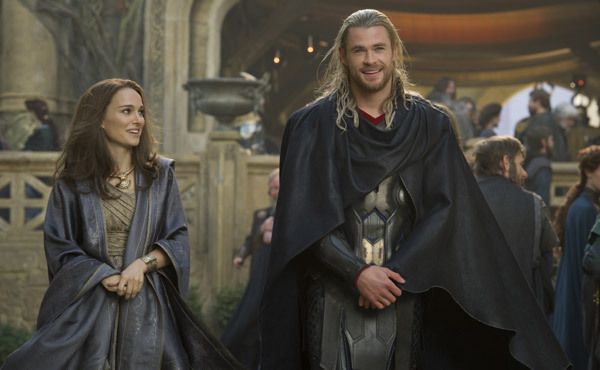 In this film, Thor (Chris Hemsworth) must deal with his role as the heir to the throne of Asgard as well as his feelings for Jane Foster (Natalie Portman). Hemsworth brings a restrained and relaxed approach to his performance. He makes Thor a much more engaging figure by showcasing both his own humility and the confusion he faces being a god-like figure who can wield a mighty hammer. The story explores a mysterious power known as the Aether. Jane Foster’s discovery of portals results in not only her being transported to another world, but also the re-emergence of the Dark Elves. When Jane is infected by the Aether, Thor has no choice but to take her to Asgard and seek the assistance of his father King Odin (Anthony Hopkins). However, saving both Jane and the universe will not be an easy task. Nearly destroyed once by Odin’s father (Tony Curran), and sent into the Nine Realms, the Dark Elves are determined to take out their revenge on the universe. Forcing Thor to do things his father is unwilling to do, such as teaming up with an old foe, in hopes of saving Jane, Asgard and the universe as a whole. While the script does involve a lot of exposition, which can get a bit overwhelming, it makes up for it through some great supporting characters who add to key elements of the story. The most notable being Frigga (Rene Russo) who not only gets more to do than in the first film, but also proves herself to be quite powerful. It is nice to see Rene Russo finally get her moment to shine, no matter how small it is. Like Russo, Anthony Hopkins, Idris Elba, and Kat Dennings all provide memorable performances as Odin, Heimdall, and Darcy respectively. Stellan Skarsgard brings in a lot of humor as Dr. Erik Selvig, a role which involves him not wearing any pants. Natalie Portman’s performance is much better in this film than her previous outing in the series. The way she deals with the Aether, and even helps out in the film’s climatic battle in London, works well for the tone of the film. Speaking of the big battle between Thor and the Dark Elves’ leader Malekith, Christopher Eccleston does a wonderful job as the villainous Malekith. Of course we cannot forget Tom Hiddleston’s turn as Loki. He is once again the scene-stealer as Thor’s estranged adopted brother who spends much of the first half in a dungeon as a result of his actions in The Avengers. Hiddleston plays a crucial part in the second half of the film that showcases the fragile bond between brothers. Hiddleston and Hemsworth make a great pair as their chemistry really helps to elevate the film. The direction of Alan Taylor is quite sprawling for many of the scenes set in Asgard as well as other non-Earth worlds. He retains the ambition of the first film, but also balances it nicely with several intimate moments. 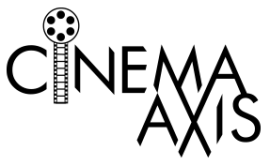 With the help of Kramer Morgenthau’s cinematography, as well as the visual effects of Mark Breakspear, the film definitely has an element of darkness in many of those scenes. Even the moments set on Earth are intense and suspenseful. However, Taylor does not let the Earth segments get bogged down in murky atmosphere; he makes sure that several of the amusing moments occur there as well. An example of which involves a witty sequence where Thor is taking the subway. Under Taylor’s helm, the film succeeds in not just giving audiences a sense of action and suspense, but also humor and characters that people can care for. It is among one of the reasons why Thor: The Dark World is a superb film that isn’t just better than its predecessor, but also the kind of superhero film that does not take itself too seriously. Nice write up! I also thought this was better than the first. Thought it balanced the humour and the action perfectly. I thought I’d be a bit numb to these films by now but I thoroughly enjoyed this one. I liked this one more than the first one as I think the actors are getting more comfortable in their roles and get to loosen up a bit. Definitely better than the first Thor. I still think it flawed, though. It is flawed but certainly enjoyable. I could do with less exposition but they brought in enough characters and stakes to make to a very solid film. Good review Steve. Nice to see you on WordPress. I knew something was going on when I saw Jena Malone’s picture as the author of a post. Well, this is just something I’m going to do every once in a while as a contributor to this site. Glad you liked it! Alan Taylor’s input really shines here, bringing his Game of Throne’s style with him. The action sequences and sets are remarkable, especially the film’s last act between Thor and Malekith. Ultimately, the sequel is stronger than its precursor in terms of entertainment, heart and scale. It makes the right move spending time in different realms rather than Earth, and makes me eager to see other realms in the next instalment. I think Taylor added a looseness to the direction as he just wanted to make it much more fun. Hell, there were moments where myself and the audience were laughing. Even in those scenes where Stellan Skarsgard isn’t wearing any pants though I’m glad they censored his naked scenes because I don’t want to see those big ol’ balls of his.